Some of these service operations affect the SRS airbag system. 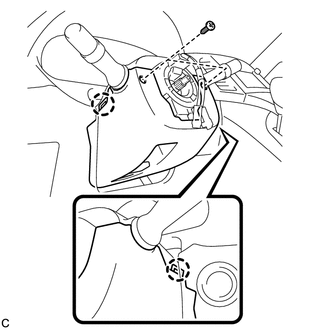 Read the precautionary notices concerning the SRS airbag system before servicing the steering column (See page ). 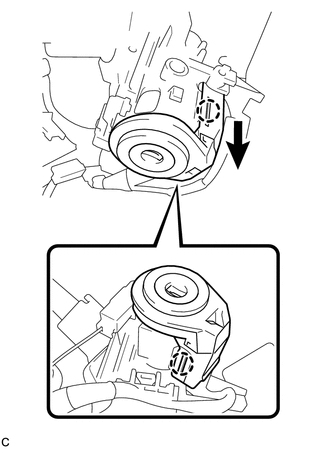 (b) Push the right and left sides of the lower steering column cover, and disengage the 2 claws to remove the lower steering column cover. 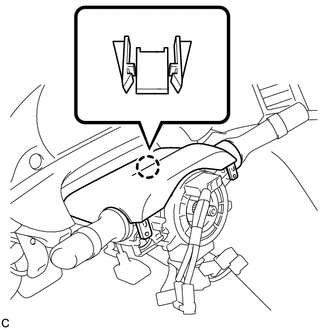 (b) Disengage the 4 clips and 2 guides to remove the upper steering column cover. 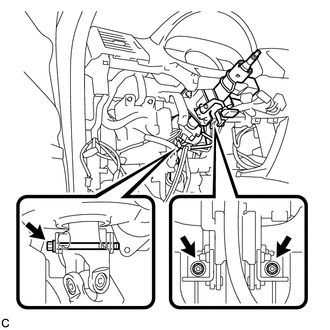 (a) Disconnect the connectors from the turn signal switch assembly with spiral cable sub-assembly. 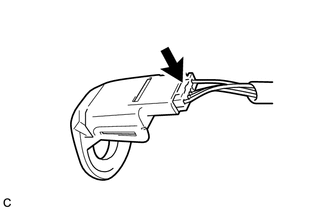 (b) Using pliers, expand the clamp. 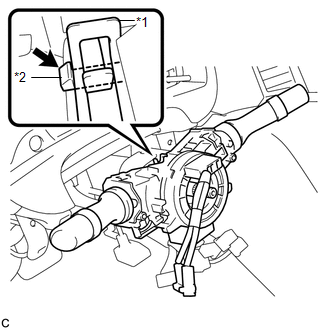 (c) While holding the clamp expanded, raise the claw using a screwdriver to disengage it, and then remove the turn signal switch assembly with spiral cable sub-assembly from the steering column assembly. 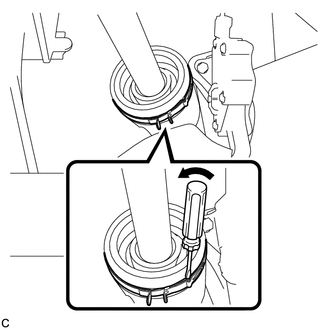 Do not remove the steering sensor from the spiral cable. (a) Slide the transponder key amplifier to disengage the 2 claws as shown in the illustration. (b) Disconnect the connector and remove the transponder key amplifier. 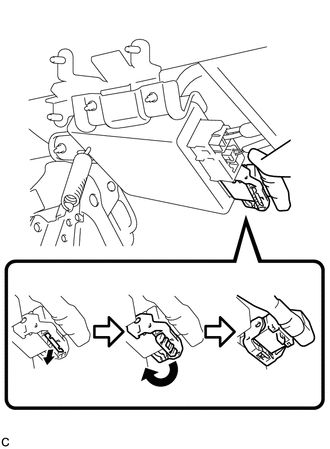 (a) Using a screwdriver, loosen the clamp. 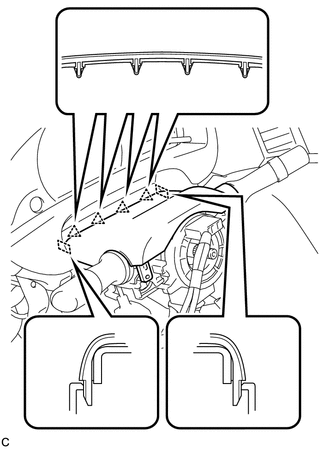 Do not separate the steering intermediate shaft assembly from the power steering link assembly. 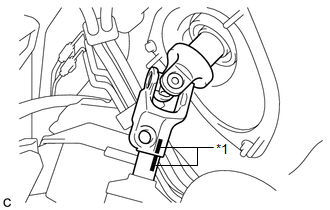 (c) Put matchmarks on the steering intermediate shaft assembly and the power steering link assembly. 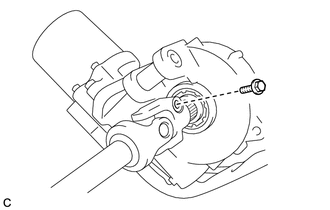 (d) Separate the steering intermediate shaft assembly from the power steering link assembly. 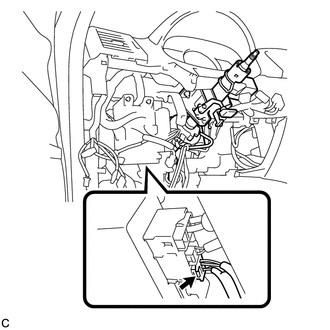 (a) Disconnect the connector from the power steering ECU assembly. (c) Disconnect the connectors and disengage the wire harness clamps from the steering post assembly. (d) Remove the bolt, 2 nuts, and the steering post assembly. 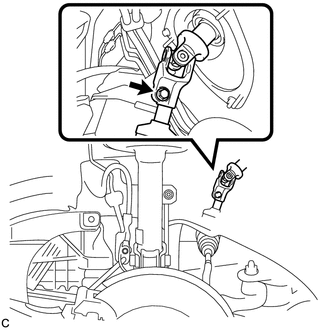 Do not separate the steering intermediate shaft assembly from the steering column assembly. (b) Put matchmarks on the steering intermediate shaft assembly and the steering column assembly. 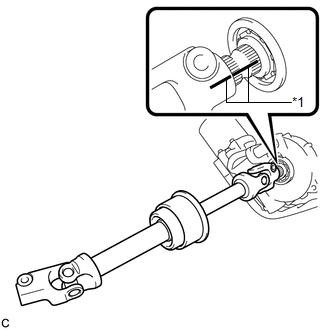 (c) Remove the steering intermediate shaft assembly from the steering column assembly.